Engle Road Sled Riding Hill is the best kept secret for winter fun in Cleveland Metroparks. The sled riding hill is a less-than 0.25 mile hike from the parking lot. When sledding isn’t in season, visit the sledding hill for a birds-eye view of Fowles Marsh. 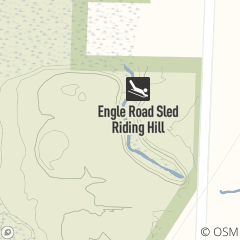 Engle Road Sled Riding Hill is located off Engle Road between Bagley and Fowles Roads. Please use the sledding hill with caution and with proper equipment and only when proper weather/snow conditions exist.